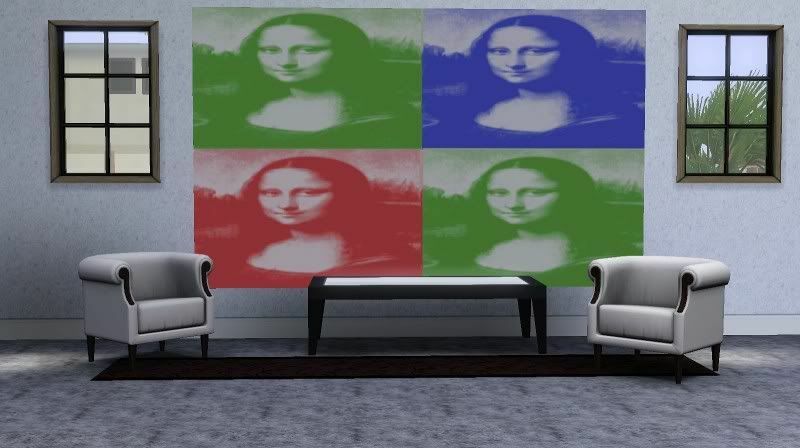 This is the classic Mona Lisa painting by Leonardo Da Vinci, but in the style of Andy Warhol's Marilyn Monroe painting. It's a recolor of my Cher mural. If you have this in your game, it will replace the Cher mural. 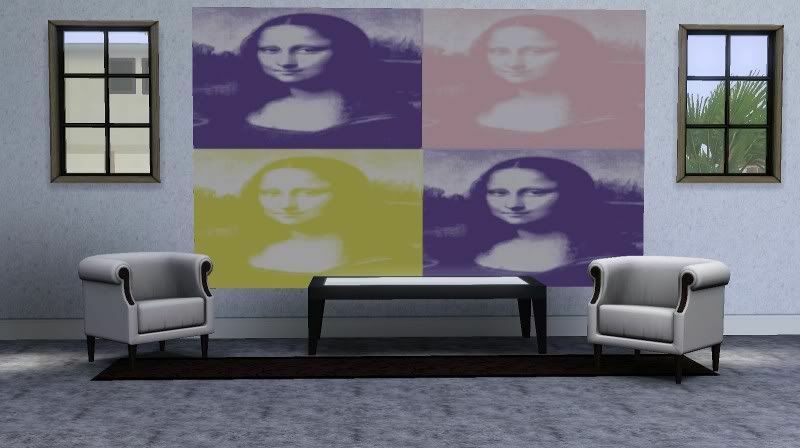 The Mona Lisa pictures are the first 3 paintings in the recolors. 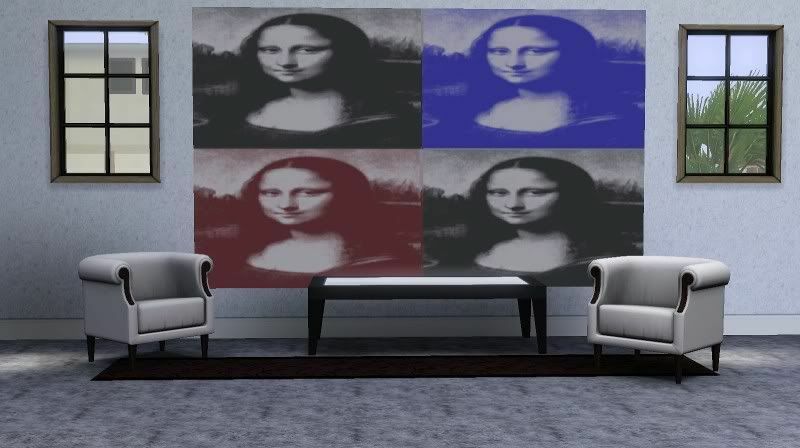 The Mona Lisa paintings are recolorable as well and have 3 channels. Enjoy!